Battling domestic violence, assisting the Supreme Court of Tonga and helping provide legal support to the Solomon Islands are all in a semester’s work for University of Queensland law students. At the TC Beirne School of Law, students are treated to an initiative not available at any other law school in Australia: participating in pro bono legal services. 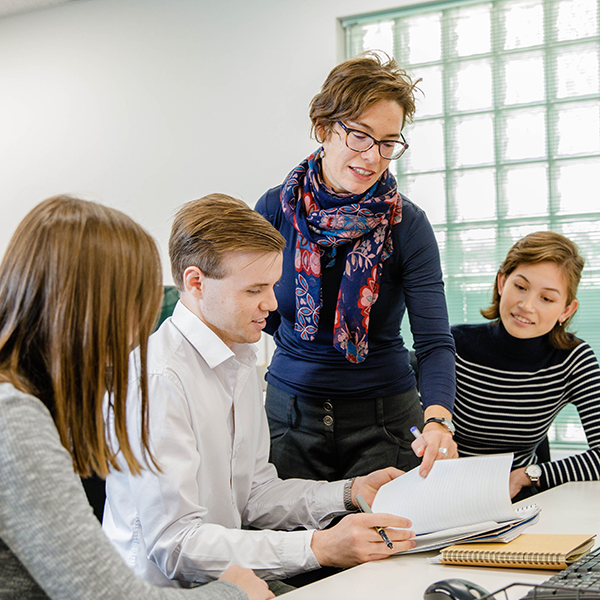 Opened in 2009, the UQ Pro Bono Centre offers law students a meaningful opportunity to gain experience in active legal matters before graduating, and also highlights for students the importance of access to justice for all in the community. “UQ law school is committed to developing a strong pro bono and public service ethos in our students,” UQ Pro Bono Centre Director, Monica Taylor said. “Students have worked alongside organisations as diverse as the Supreme Court of Tonga, the Landowners Advocacy and Legal Support Unit in the Solomon Islands, frontline domestic violence services in Brisbane, a number of private barristers, law firms and many community legal centres,” she said. “Through the Pro Bono Centre, our students are able to apply their emerging skills to a range of areas such as community legal education, law reform and legal casework. Demand for the service has skyrocketed since students worked on 33 pro bono activities in the Centre’s first year of operation. In 2014, 149 projects were taken on by the Center – a 451% increase since its 2009 launch. Student May-Ann Chen said her pro bono experience with the Immigrant Women’s Support Service had led her to consider areas of law she had not previously thought about. “I've been able to develop some very useful skills and it’s a fantastic way to supplement what you are learning in the classroom with what actually goes on in the outside world,” she said. “There are some very interesting, unique areas that you can be involved in, such as migration law, Islamic law and family law. In September, student William Lee traveled to Myanmar to attend the fourth Asia Pro Bono Conference and Legal Ethics Forum with fellow students and research partners, Balawyn Jones and Rebecca Morrison. The team presented the findings of a six-month research project investigating various models for engaging law students in pro bono work. “Even as a student, I’ve been able to achieve something positive in the community,” Lee said. The team’s trip – which was otherwise self-funded by the students – was supported by a donation from The Honourable Justice Glen Williams AO QC. Fellow student, Verdi Guy suggests that as a student, working in the Pro Bono Centre is her way of giving back to the University and the community. “Gaining practical legal experience where you can make a real difference to clients and the community is an invaluable experience,” she said. Donations to the UQ Pro Bono Centre will enable it to expand opportunities for UQ law students as well as the reach of its services. Give to the Pro Bono Centre, by selecting the TC Beirne School of Law as the Giving Destination, and entering the Pro Bono Center into the ‘Other’ field.